LEWCO Promat 2017 - LEWCO Inc. Discover the latest solutions to move your business forward as the industry'sleading innovators showcase their latest manufacturing, distribution and supply chain equipment and systems. 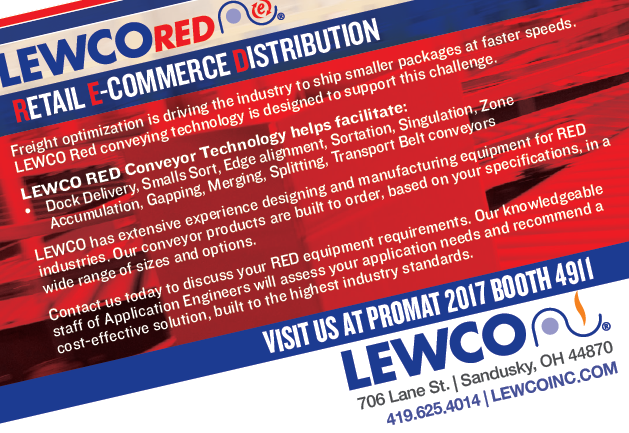 Lewco, Inc. invites you to join us at ProMat 2017 held April 3-6 at Chicago's McCormick Place. 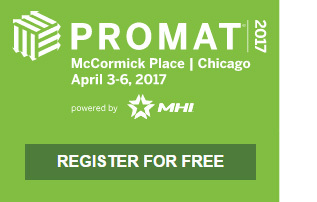 ProMat 2017 is the one show where you will see in person, in action, the best solutions and innovations the industry has to offer, and meet the leading providers face-to-face. There is no cost to attend the exhibits and conference sessions.